Shadows Fall Biography, Discography, Music News on 100 XR - The Net's #1 Rock Station!!! 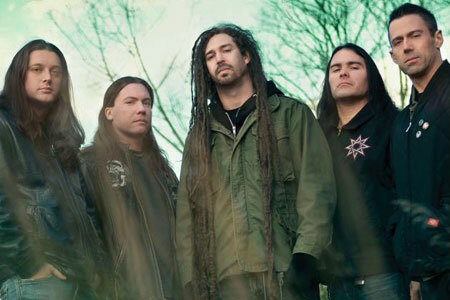 Boston, Massachusetts USA-based Shadows Fall first started in 1996 when guitarists Jonathan Donais and Matthew Bachand came together to join the North Eastern states underground Metal scene; the early line-up also included vocalist Phil Labonte, bassist Paul Romanko and drummer David Germain. The quintet released their debut album, "Somber Eyes To The Sky", in 1997 on Bachand's label, Lifeless Records; this helped garner them a lot of attention throughout the New England area. In late 1998 Labonte, who joined All That Remains, was replaced by vocalist Brian Fair and the band eventually grabbed a worldwide deal with Century Media Records. The group's first release for the label, 2000's "Of One Blood", exposed the band to a worldwide audience as they went on tour with like-minded acts such as Candiria. Their third release, "The Art Of Balance", was issued in September of 2002 and marked the introduction of new drummer Jason Bittner; the record smashed at #15 on Billboard's Top Independent Albums chart. After touring the world with the likes of Mushroomhead, Avenged Sevenfold, Lamb Of God and many more, Shadows Fall, headed back into the studio to record its fourth album. "The War Within", which appeared on shelves in September 2004, took the band to new commercial heights, it cracked the top 20 of The Billboard 200 and produced two Mainstream Rock top 40 hits: "What Drives The Weak" and "Inspiration On Demand". Two yars later the Massachusetts metallists released "Fallout From The War" which collected songs that were started but never completed during the sessions for "The War Within" along with reworked vintage material and three cover songs; this 11-track set was their final release for Century Media and reached #83 on The Billboard Top 200 Albums chart. 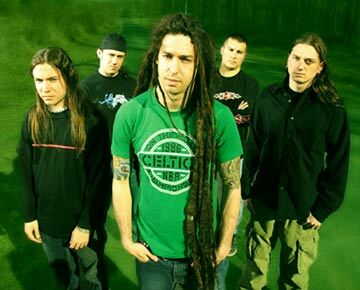 Shadows Fall then moved on to the Warner-associated Atlantic Records to release their next full-length disc, "Threads Of Life". The album arrived in April 2007 and reached #46 on The Billboard 200 spawning two Active Rock top 40 singles, "Redemption" and "Another Hero Lost". The quintet issued their seventh album overall in September 2009, "Retribution", the first on their newly created own label Everblack Industries. The disc climbed into the top 40 of The Billboard 200, however the two singles lifted from it, "Still I Rise" and	"King Of Nothing", both failed to dent the chart. In May 2012 Shadows Fall released the much anticipated collection of new material, "Fire From The Sky", on yet another label, this time Razor & Tie. The 10-song set, produced by Killswitch Engage's Adam Dutkiewicz, includes the single "The Unknown".